The object of the game is to roll your bocce balls closer to the pallino (small ball) than your opponent. 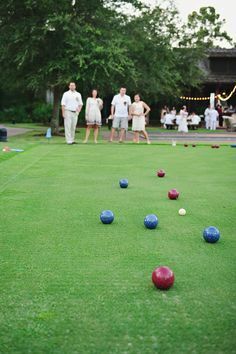 Bocce can be played on most surfaces (grass or sand) as long as they are fairly smooth and flat. The court size can be accommodated to fit the playing space available.